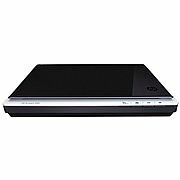 What is the Epson Expression Photo XP-55? 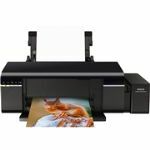 There’s still a good market for inkjet printers aimed at the photo enthusiast and Epson has always been highly regarded for its photo printers. The Expression Photo XP-55 builds on this reputation and adds in a couple of useful extras, in particular good support for all kinds of mobile devices. With its photo-printing focus comes a six-ink system for more accurate colours and a selection of paper paths to allow you to use thick, high quality paper and card. 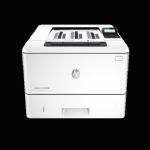 The printer is all white, low to the desk and with ‘Epson’ etched lightly into its textured lid. There’s a ‘hump’ at the back of this lid, which reveals a flip-up, single-sheet feed, ideal for card and specialist papers which don’t do well following a 180-degree paper path. A panel on the front edge of the machine offers six control buttons and five LEDs, but no display. These cover a bare minimum of functions, as most controls come from the Epson software, running on a PC, Mac or mobile device. At the bottom of the front panel is a strange half cover for the main paper tray, which has to be folded down before you can use the printer and serves neither a practical nor cosmetic function. 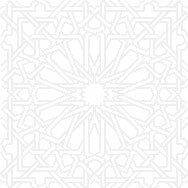 The main tray can only take up to 100 sheets of plain paper, though there’s a secondary, powered tray, which can take photo blanks up to 13 x 18-inch. The main output tray has to be pulled out manually before you can start printing and although this is similar to pulling out a telescopic tray, it’s more fiddly here and feels like you’re pulling against the mechanism. There’s a USB socket on the front panel, designed to take a PictBridge cable from a camera. There’s no display on the printer, so no point in making it available for USB drives, too. 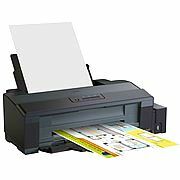 Lift the printer’s lid to find a six-ink head and carrier, where it’s easy to clip in the individual cartridges. Light cyan and light magenta are added to the four CMYK colours and are designed to broaden the colour gamut available to print from. 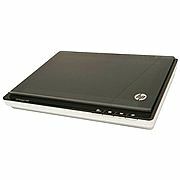 You can connect to the printer via USB or Ethernet, but the most versatile route is through wireless. 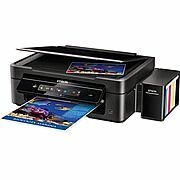 The printer can connect to your router with a couple of button-presses, if it’s equipped with WPS – most recent models are. 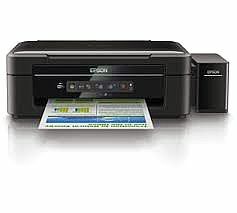 From then on, you can connect from PC, Mac, iOS or Android-based devices, or print remotely via Epson’s Remote Print Driver. 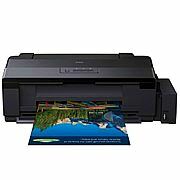 Epson claims speeds of 9.5ppm for mono print and 9.0ppm for colour. 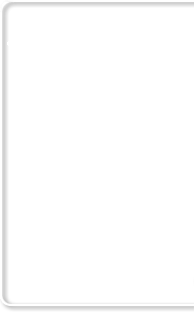 In our 5-page text test, we saw 5.3ppm, but this climbed to 7.6ppm on the longer 20-page document – not too far off the spec. These are respectable speeds for a printer in this class, though the duplex speed of 4.5 sides per minute is a little slow. The text and colour graphics test gave 5.2ppm. Perhaps of more interest with a photo printer is how fast it can produce a 15 x 10cm print. In best photo mode, it took 1 minute 18 seconds to print from a PC, but in normal mode, good enough for most uses, it completed the same sized photo in 45s from an Android phone and 37s from a PictBridge camera, both very impressive speeds. 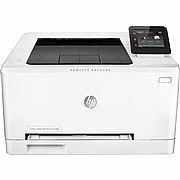 In recent years, the quality of four-colour inkjet print has improved noticeably, so HP, for example, doesn’t make standard-width printers with more than four inks. Do the additional light inks improve the quality of images from the Expression Photo XP-55? Looking at images with a large amount of lighter content, such as portraits or summer landscapes, there is some extra detail and smoother blends, though in several images the improvement is marginal. 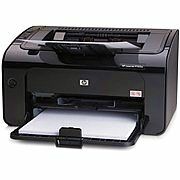 This is a noisy printer when feeding paper; we measured peaks of 67dBA at 0.5m. With six inks to contend with, you’d expect running costs to be a little higher than with a four-colour machine, but we calculated page costs of 2.8p for mono and 6.9p for colour, both of which are pretty good. A word of warning though, we needed to shop around to find a source of cartridges at these sort of price levels. 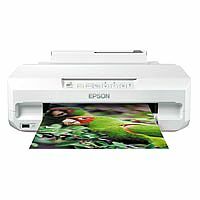 Should I buy an Epson Expression Photo XP-55? 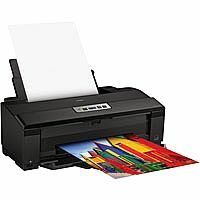 There are fewer six-colour photo printers around, now, though if you want the photo print improvements the extra inks can bring, you could compare with Canon’s £160 PIXMA MG7750, though this is a full all-in-one and includes touchscreen control. It offers an extra grey ink to improve black and white photos, but still relies on just four ‘colour’ inks, though with a photo black, too.